There is a delicious irony in the recent news - reported by Aporrea.org - that the Somali "pirates" have offered to donate a significant proportion of their booty to the victims of the Haiti earthquake. 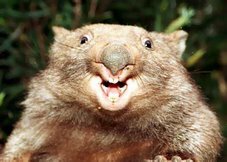 Claiming to have connections all over the world, the Somalis promise to deliver the money undetected by Western "enemy" governments. But why have they made this offer? The first connection that springs to mind is, perhaps, the piracy itself. While the Somali youth based out of Eyl and other small towns in coastal Somalia are the modern face of seafaring piracy, Haiti is the traditional stomping ground of the swaggering buccaneers of legend (if we ignore, of course, the tame pets of the major capitalist powers such as Sir Francis Drake). It was - at one point - the pirate capital of its age par excellence. The Île de la Tortue (Tortuga) which lies just north of the larger island of Hispaniola - of which Haiti is the western half - was used as a base for French, British and Dutch-hired "privateers" to disrupt and loot Spanish shipping form the Americas. While the British moved to Jamaica, and the Dutch moved elsewhere, the French remained active in the area. In their off-season, these pirates wandered into the largely uninhabited western end of the Hispaniola to hunt and barbeque - earning them the name boucanier ("the open fire men"). Gradually French settlements were set up in the region, the area was ceded by Spain to France in the Treaty of Rystwik in 1697, and the country's history as a slave colony began. But the pirates had little do with the slave revolution led by Toussaint l'Ouverture and Jean-Jacques Dessalines in 1803 that made Haiti the first and only successful slave rebellion in history, even if they were the pioneers of the nation that later became Haiti. More pertinent and important than the pirate connection is the sisyphean struggle that Haiti has fought ever since. Like so many African and "Third World" countries, Haiti has borne the brunt of centuries of Western oppression - through economic, political, and occasionally military imperialism. Such was the resentment of their former French masters that they ganged up with the US to starve Haiti into paying "reparations" - a bankrupting 90% of the country's budget, payable for the forseeable future. When Haiti failed to pay, the City Bank offered to "swap" the debt for a long term loan that kept the country on its knees and was only paid off in 1947. Haiti in the Twentieth Century has seen little more than starvation, poverty, and a series of invasions (including the US occupation of 1915 which used locals for target practice training, as well as more recent "peace-keeping" forces), dictatorships,coups d'état, and the forceful imposition of "Shock Doctrine" neoliberal economic policies. As a result, Haiti has remained at the bottom of the pile - the poorest nation in the Americas, where children don't just make mud pies, they eat them out of desperation and hunger. It is perhaps only partially coincidental, but the main Somali pirate town of Eyl - lying on an isolated and mountainous part of the Somali coast - was a centre of Dervish anti-colonial organising in the early Twentieth Century. There certainly are parallels between the piracy of Somalia, and that of Tortuga. Most importantly, both are responses to the effects of capitalist exploitation. 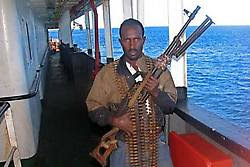 The present-day Somali pirates are largely young men - aged between 20 and 35 - looking for an alternative to the war-torn, lawless and impoverished reality of a Somalia which has borne the brunt of the same Imperialist, colonial and economic forces for decade after decade, destroying the hopes of independence, and ruining the dreams of everyday Somalis. The pirates are popular with much of the local population - not only for redistributing much of their booty, but for bringing a sense of order, almost of law, in a country where both these terms have no meaning. Their presence prevents the further contamination of formerly pristine coasts (Somali seas have been widely used as dumping grounds for toxic waste), the looting of the area's rare reefs and the corrosion of local living standards caused by the massive destruction of local fisheries by illegal European and Asian trawlers. In fact, Somali "piracy" began as small defensive raids by impoverished fishermen against the despoiling of their waters by these fishing fleets. So it is especially refreshing to see the piratic internationalism expressed by the Somali buccaneers, who typically redistribute their loot amongst relatives and the local population. "The humanitarian aid to Haiti must not be controlled by the U.S. and European countries - they don't have the moral authority. They are the ones who have been pirating humanity for years." * Who are the real pirates in Africa's waters?